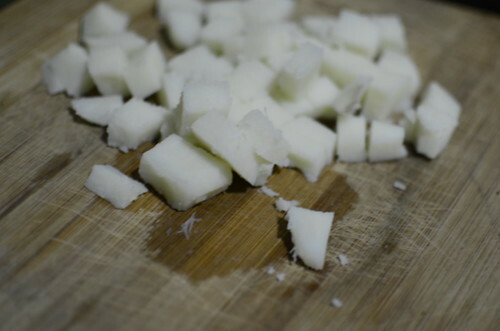 This has to be one of my greatest discoveries of 2014 – that frying boiled yam, cut up in little chunks is an adventure in textures. 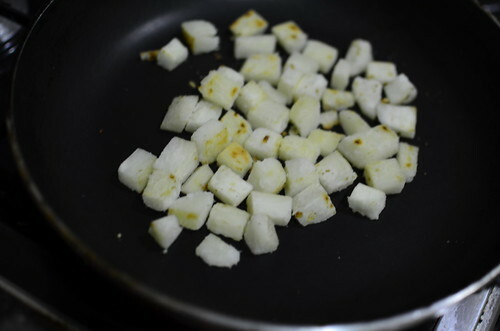 A couple of months ago, my children wanted fried yam but what we had was boiled. So I lightly greased a pan, seasoned the yam and fried away. The results? Golden nuggets of goodness – crisp and crunchy on the outside and soft on the inside. 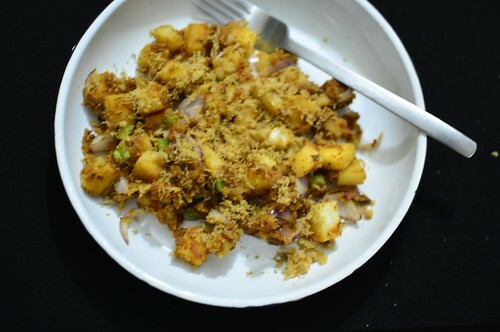 I proceeded to make a hash which I repeat here…for your sake. 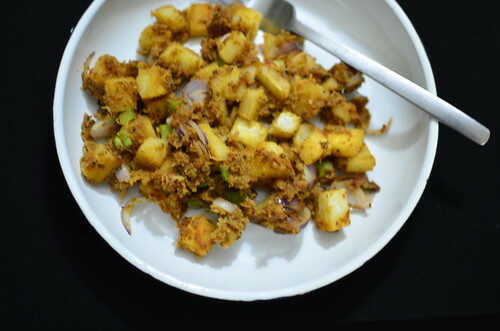 Hash is a dish consisting of diced or chopped meat,potatoes, and spices that are mixed together and then cooked either alone or with other ingredients such as onions. The name is derived from the French verb hacher (to chop). 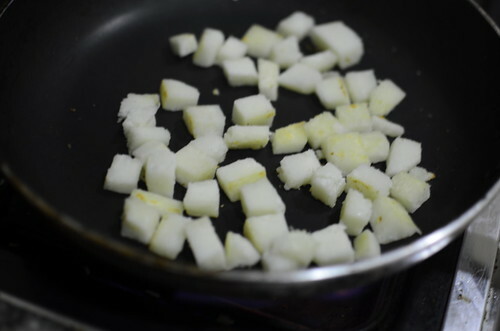 Begin by dicing left-over boiled yam into centimetre-sized pieces. You’ll also need chopped vegetables of your choice and some stew (a couple of tablespoons). I’ve made this often with tomatoes, onions, bell peppers, scotch bonnet peppers. 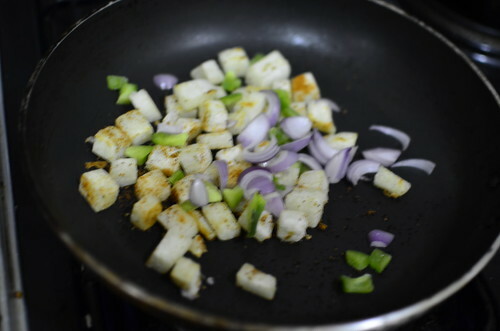 Heat up a pan – I used a non-stick one, lightly grease it and add yam pieces when hot. It is important to let the pieces develop some colour – an indication of the ‘crisping/ crunching’ up process. 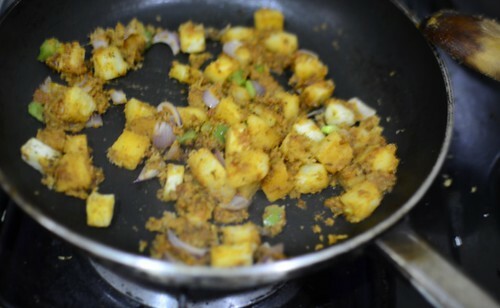 Once browned to your liking, add the vegetables and cook for a minute or two. Follow this with the stew, Dambu Kazaa and a splash of water. …top with some more Kazaa and tuck in. We love this so so much – a very easy breakfast / brunch dish.